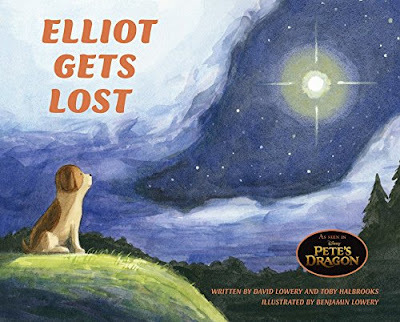 From the Disney movie, Pete's Dragon comes the children's picture book Elliot Gets Lost by David Lowery and Toby Halbrooks. 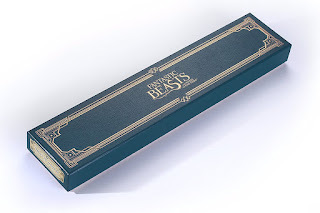 In the movie, this book is one of Pete's prized possessions and with the release of the book, it can be yours, too. It is recommended for ages 4 to 8 though of course anyone can enjoy the story and pictures in a wonderful children's picture book. Pete's Dragon and dog lovers alike will love the tale of this puppy's adventure. Order Elliot Gets Lots from Amazon. After the creation of my How to Create a Rudolph the Red-Nosed Reindeer Gift Set page, I came across these adorable Jingle Buddies. They are simple but adorable ornaments, each one representing a character from the show sitting on top of a bell. They are suitable for decorating your Christmas tree and for gift giving. As some of the Amazon reviewers have said, they are perfect for slipping into a Christmas stocking this year. Wonderful for someone who grew up with the television special. You can find my complete page on how to create a Rudolph-themed gift set here and you can find these cute little Rudolph the Red-Nosed Reindeer Jingle Buddies on Amazon by clicking here. Rudolph the Red-Nosed Reindeer is a television show that many of us grew up with. That is, the 1964 animated Rankin/Bass television story. We shared the story with our children when they were growing up and we still look forward to watching it every year. 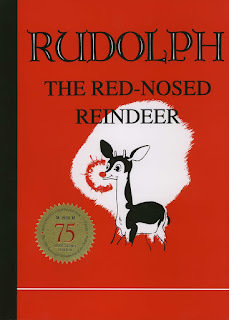 Rudolph the Red-Nosed Reindeer was written in 1939 as a short story in a thin booklet form by Robert L. May. It was a giveaway for the store he worked for, Montgomery Ward and that year, the store gave away 2.5 million copies to visiting children. The Rudolph story went on to be part of a popular song, the television program in 1964 and a movie in 1998. You probably know the plot of the story of Rudolph, the young reindeer with the glowing red nose. Rudolph was not accepted by his peers because his nose glowed but eventually proved himself on Christmas Eve when Santa Claus needed help pulling his sleigh. Rudolph is now firmly established as part of our pop culture. 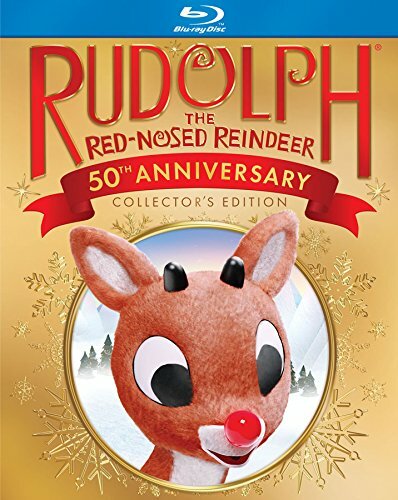 He is so popular that we love the idea of putting together a gift set for both the young people in our lives or for the older folk who hold Rudolph firmly in their hearts. Therefore, on this page, we have assembled a few of the best Rudolph the Red-Nosed Reindeer products available to help you create a simply smashing gift set for someone on your gift list this Christmas. 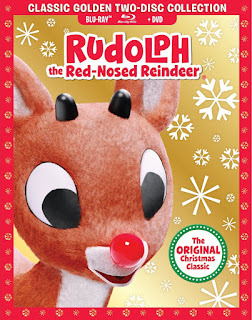 Click here to order your Rudolph the Red-Nosed Reindeer movie from Amazon and start building your gift set today. Of course, every Rudolph the Red-Nosed Reindeer gift set should probably start with a copy of the classic book, as shown here. I love the fact that the book has now been recreated in a hardcover version to look like the booklet that Robert L. May originally created for Montgomery Ward in 1939. Find the hardcover Rudolph book on Amazon here. If you are looking for something soft and cuddly, you might consider adding one or even all three of the Funko Rudolph plush toys. Your choices include Rudolph himself as shown here as well as Hermey the Elf from the Island of Misfit Toys and Bumbles. They're fun hug-gable, collectable toys that will be treasured every year at Christmastime. 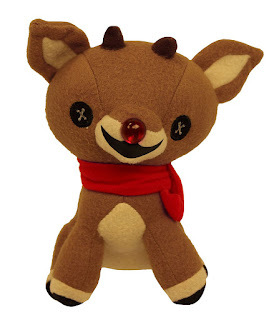 Find this Rudolph Funko on Amazon. If you are looking for something a bit more grown up but still precious, you might consider a Jim Shore figure like the one shown here. 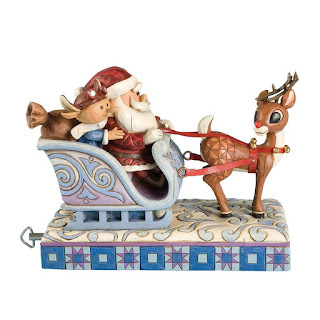 They are hand-painted and hand-crafted and this one features a musical sleigh with Santa, Rudolph and Hermey. You can check out all of Jim Shore's Rudolph pieces on Amazon by clicking here. I am a big coffee mug enthusiast. I like mugs because they are usually practical and affordable. (This mug currently retails for less than $10.) I would be remiss therefore if I did not include a Rudolph the Red-Nosed Reindeer coffee mug option on this page. I like the Vandor Rudolph mug seen here but given the current very expensive price point, I presume that it is no longer in production so I went searching a bit farther and came up with this handsome new blue Vandor mug. Another fun item to take out of the Christmas box each and every year. 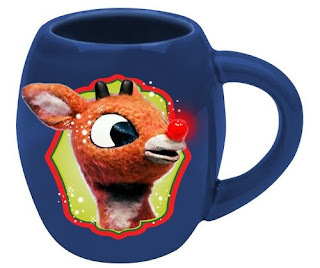 You can find this Rudolph mug on Amazon by clicking right here. 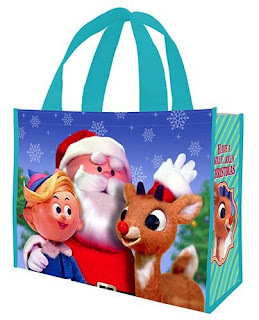 Finally, you might choose to pack your gift in a handsome and reusable bag, like the Rudolph one shown below. This bag is strong and water resistant. It is meant for shopping but also makes the perfect gift bag for your gift set and it is an item that will be used by the recipient over and over again. You will find the Rudolph tote bag here. Remember that Amazon will ship your order for free if it totals $35 or more so be sure to bundle your Christmas shopping to save money on shipping! Are You a Fan of Rudolph the Red-nosed Reindeer? the Book? 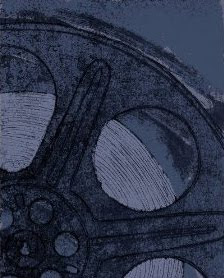 The movie? Both? Frosty the Snowman is an animated television program that many of us grew up with but did you know that the famous song was written in 1950, inspired by the success of the Christmas song, Rudolph the Red Nosed Reindeer? The song appears on almost every children's music compilation. That same year, Little Golden Books published a book sharing the story. There was a short 3-minute film made but the film we all know and hold dear in our hearts is the 1969 Rankin-Bass television special of the same name. When I was a child, this television special was one that we watched every year and when I eventually had my own family, we shared the story each year with them, too. Frosty's popularity continues to endure. He's a timeless Christmas classic and an important part of our pop culture. This popularity means you probably already know the plot of his story, the snowman who comes to life when children place a magical hat upon his head. Frosty enjoys playing with the children but is unable to tolerate the sun and eventually leaves, promising "He'll be back again someday." 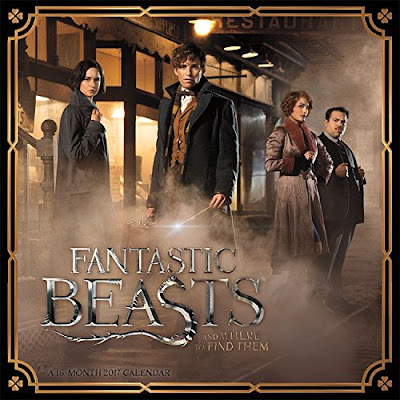 This show is so popular that we love the idea of putting together a package for both the young people in our lives as well as for the older folk who have fond memories of the story. 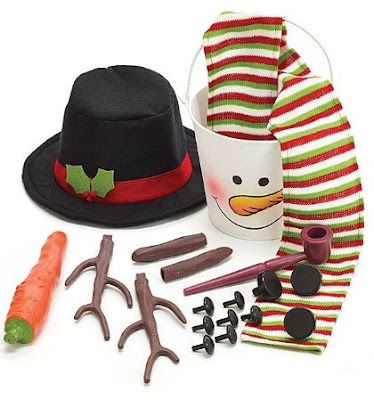 Therefore, on this page, we have assembled a few of the best Frosty the Snowman items available to help you create a wonderful themed set for someone on your list this Christmas. 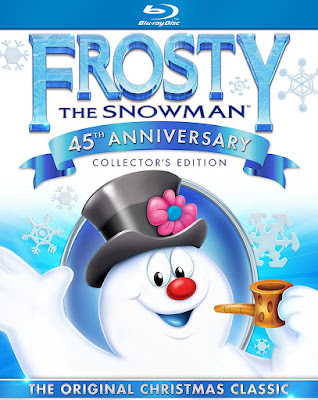 Click here to order Frosty the Snowman on DVD or Blu-ray from Amazon. 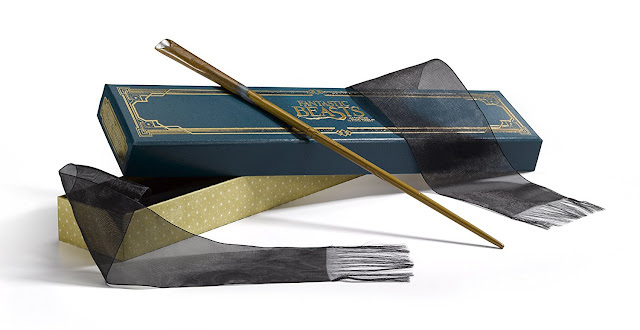 Of course, your gift set should probably start with a copy of the classic book, as shown here. 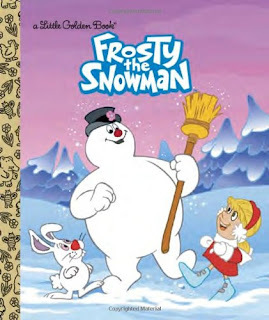 This is a Little Golden Book style of book and seems appropriate given the fact that the first Frosty book was a Little Golden Book, too. 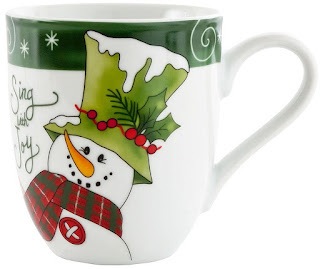 There do not seem to be any official mugs so I shopped around and found this cute and adorable snowman mug by Fitz and Floyd. It's full of spirit, practical and affordable, too. Find it on Amazon here. I love the Build-A-Bear Workshop plush pieces, like the Frosty the Snowman plush toy, which features Frosty and his hat. 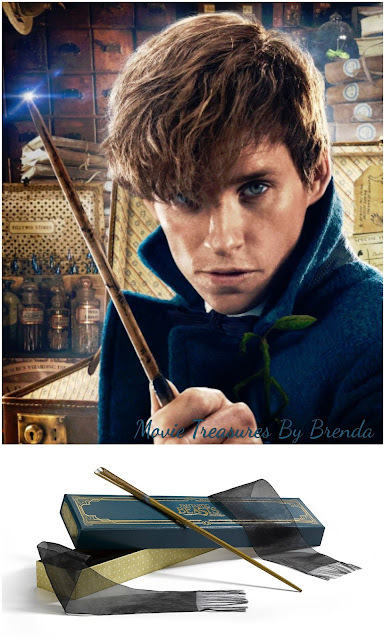 There is an accessory kit that will allow you to include his broom, scarf and pipe. There are other stuffed toys that include his friends, Karen and Hocus Pocus. Find it and other Build-A-Bear pieces on Amazon by clicking right here. 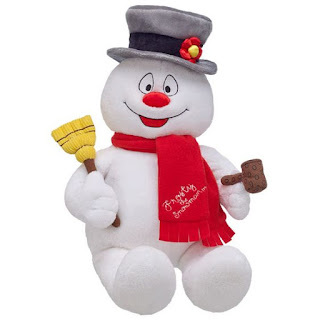 Hallmark has released numerous Frosty the Snowman ornaments. We like these three, Magic in the Air, Frosty the Snowman and A Warm Frosty Hug. Hanging a Frosty ornament on the tree will become a family tradition so it is a perfect addition to your gift package. If Hallmark continues to release new versions, you will also be able to add to this collection every year. 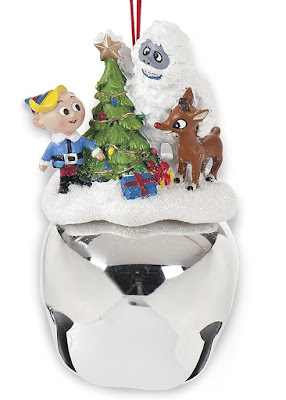 You can find all of the Hallmark Frosty ornaments here on Amazon. Another great option is a snowman kit, which contains everything you need to build a snowman except, of course, for the snow! We show below the Burton & Burton set, which cost a bit more, but which appears to have the nicest hat. 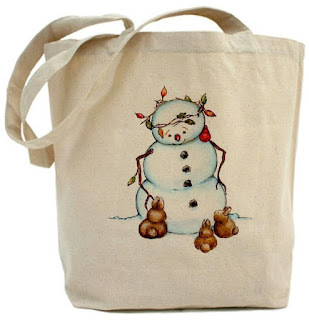 Finally, we have included a reuseable totebag that is adorned with the image of a snowman and can be packed with whichever Frosty-themed treats you choose. Be sure to tuck in a couple of edible treats, too! They'll enjoy the goodies and be able to use the bag for years to come. We hope this page has given you some inspiration for a unique Frosty the Snowman themed gift set! 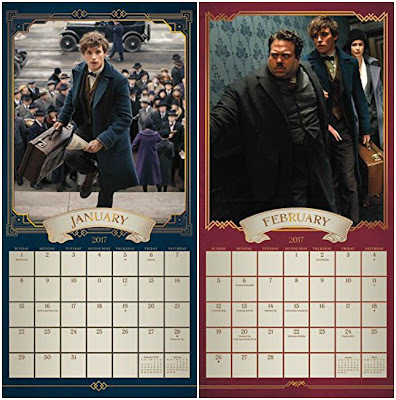 I know this calendar would make a great option for anyone who has been engrossed in J.K. Rowling’s world and who looks forward to and/or loves the Fantastic Beast expansion of that franchise. 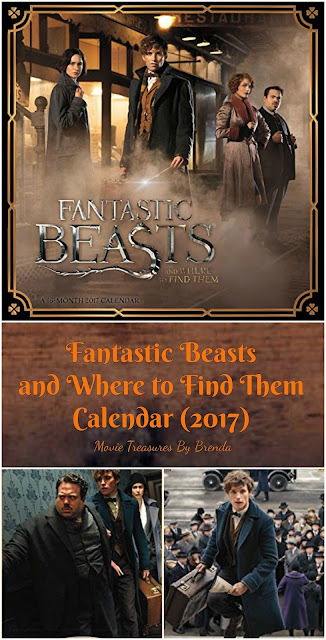 Click here to order your 2017 Fantastic Beasts and Where to Find Them from Amazon. What fun! Every now and then the Lego company releases a building set that really makes me smile. The Yellow Submarine set, released on November 1, 2016, is one such set. The Yellow Submarine movie was released in July of 1968 and the soundtrack in January 1969. The record contained classic and new Beatles songs including Yellow Submarine and All You Need is Love. 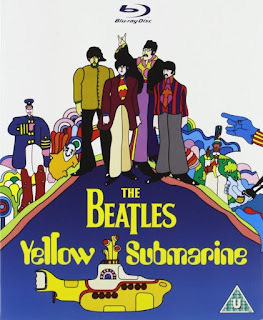 It is not necessarily considered one of the best Beatles albums but "We all live in a yellow submarine..." is a refrain that I am sure you have heard before. Anyway, back to the Lego set, which is set number 21306 with 553 pieces and recommended for individuals aged 10. 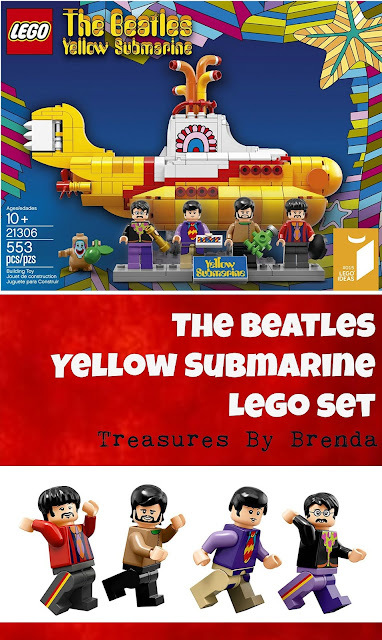 It is super fun – done of course in bright yellow and accompanied with four handsome mini-figure versions of the Beatles - John Lennon, Paul McCartney, George Harrison and Ringo Starr. In addition, it has a Jeremy figure. For those not in the know, Jeremy is a fictional character that appeared in the original animated movie. 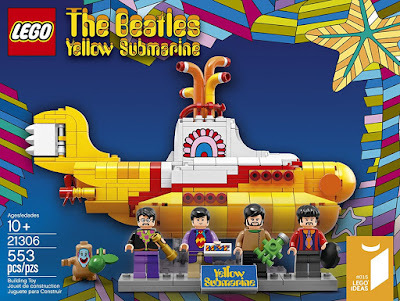 Pair this fabulous new Lego set with a copy of the movie or the movie soundtrack and you will have a fun, fabulous and totally unexpected gift idea for dad or for any Beatles fan. I believe that this set is designed to appeal to the nostalgic amongst us, ranking right up there with the 2011 Lego Creator Volkswagen Camper Van set, another set that stole my heart. You can find The Beatles Yellow Submarine on Amazon by clicking right here. Buy your Lego Yellow Submarine set on Amazon.